NEWLY RENOVATED, AFFORDABLE HOME WITH LOW CONDO FEES! 3 bedroom, 4-plex townhouse condo centrally located in Morinville. This fantastic bi-level condo is perfect for a first-time buyer or those looking for an investment property. With approx. 1198sq.ft of total living space this home offers an upper level boasting a large and open living room with patio doors leading to the back deck, convenient 2 pc bathroom and u-shaped kitchen with large walk-in pantry and an adjacent breakfast nook. The fully finished basement is home to 3 good sized bedrooms, a full 4pc bath and the laundry room. Best of all, recent renovations include, new drywall & paint, doors, windows, updated bathrooms, new kitchen cupboards, stainless steel appliances & vinyl plank flooring. 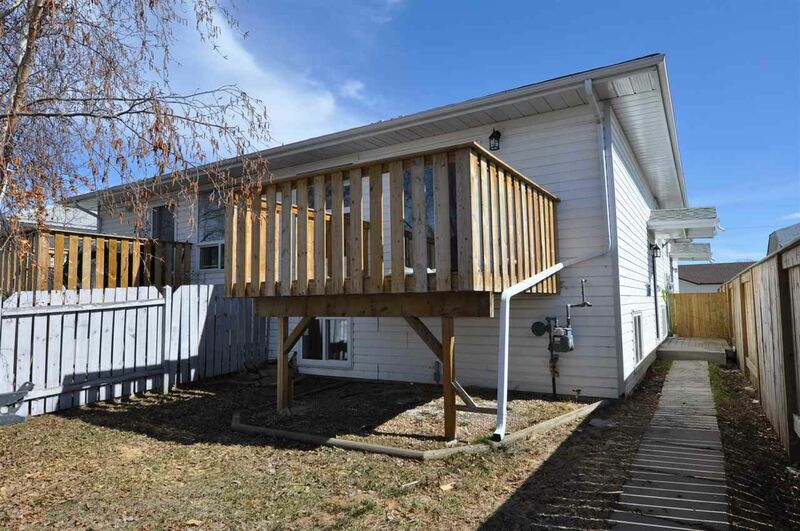 Completing this condo is a nice sized landscaped and fenced yard, plus 2 powered parking stalls. Centrally located in the Town of Morinville, walking distance to schools, shopping and parks. Well worth a look!